In previous publications, blogs, and discussions with students, I have set forth a “two-fold” foci of zoopoetics. Both foci spin out of the etymology that suggests the makings of animals: 1) animals are makers in their own right, creating their own bodily poiesis; 2) some of the most innovative breakthroughs in poetic form have emerged from the poet’s attentiveness to the bodily poiesis of another species. Zoopoetics explores how innovative breakthroughs in form emerge from an attentiveness to another species’ bodily poiesis. This definition leaves the subject fluid. The one discovering the innovative breakthroughs in form may be a human, or a beluga, or an elephant who is attentive to the ways that another species vocalizes and gestures. I arrived at this definition, in part, as a result of the recent publications in Current Biology and their circulation through online sources (npr, youtube). They covered the beluga whale who mimicked the cadence and rhythms of human vocalizations and the elephant who discovered the innovative breakthrough of placing his trunk in his mouth, manipulating sound, in order to speak five human words. I find these discoveries to be thrilling and yet haunting. 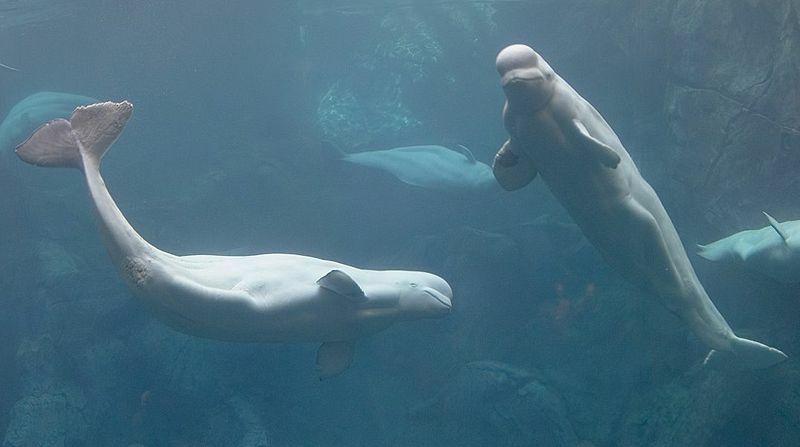 The only reason why we now know beluga whales and elephants can discover an innovative breakthrough in their own bodily poiesis through an attentiveness toward humans is because of the shrinking planet and captivity. We see the desire of these creatures to enter into the social fabric of the human sphere when that human sphere pushes the species toward extinction. One last thought. In his work on Poetics, Aristotle suggests that one of the impulses behind poetry is the impulse to imitate. He argues that this ability to imitate sets humans apart from all other animals. It is now common knowledge that other species also imitate. I suggest that Aristotle was one step away from the origin of poetry. The impulse to imitate emerges from the crucial prerequisite: attentiveness to the other. Beluga whales and elephants undergo this attentiveness, and it leads to the impulse to imitate. (Haraway in When Species Meet calls for curiosity, and Shepard calls this minding animals—both Haraway’s and Shepard’s work is behind what I mean by “attentiveness”). The above definition of zoopoetics is what is in my dissertation, and for the reasons I have outlined here, I find it to be an advancement over my earlier articulations. All this work by Aaron Moe is licensed under a Creative Commons Attribution-NonCommercial-NoDerivs 3.0 Unported License. Based on a work at http://aaronmoe.com.